Two and a half billion people use the Internet every day to search for something. How many find your website? Equally important, how many find your direct competitors instead? The figures speak for themselves. Nearly 80% of people who search for something on the internet do not look past the first couple of pages of search results. If you aren't in those vital pages, you may as well not bother. We can get you into those important results. Legitimately, cost-effectively, and using methods and techniques that comply 100% with the codes of practice promoted by the major search engines. Many companies make the same claim, but we can back up our claims with solid results. Just as important, as we use only legitimate methods, those results are maintained. This is an essential starter for any existing website. Search Engine Optimisation begins within the website, not outside of it. Content is vital, as is ensuring there are no errors and that all the coding is correctly written. The amount of work required will depend on what needs doing to the site itself. Usually, this will consist of changing text, re-sizing and adding search engine visible text to all images, changing texts in links and changing the source code on pages. We also add a Google 'sitemap' and details telling the search engines what pages not to search - vital, as some may include duplicated text which can be very damaging for results. The site will then be added to our Google management program, to enable regular performance monitoring. 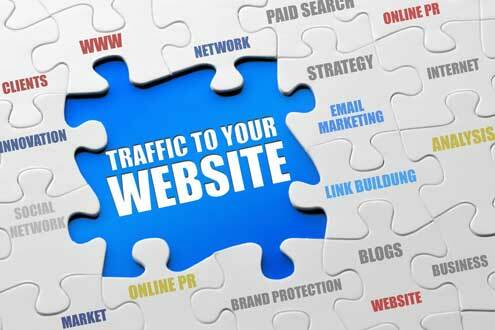 In addition, an off-site launch campaign will add a number of high quality inbound links to your site, all targeted at a specific group of keywords or phrases. If you do not already have them, pages will be opened on Facebook and Twitter for you. Costs will depend on the size of the site and the amount of work required, but are likely to be less than you might expect, and considerably less than conventional media advertising. This campaign is suitable for sites that are either suitable for optimisation already, or that have had our kick-start package carried out. Every month a number of pages will be changed on the site, additional pages will be added randomly, key text will be changed and the sitemap will be re-submitted to search engines. A number of individually authored articles will be written and submitted to various relevant article sites, and web directory entries and further links will be established. Overall, in excess of relevant inbound links will be added every month and page and coding text will be regularly changed. to be linked to from other sites, and again the words or phrases forming these links are all important. Also important are the sites these links come from. Some are enormously beneficial, others can do no good at best, or actively damage your results at worst. The algorithms search engines use to produce their results are closely-guarded secrets and are extremely complex. It is always necessary to remember that search engines are trusted by people because they deliver relevant results. It is worthless trying to get your website ranked highly for a word or phrase that is not reflected by your products or services, and a bad idea to even try. It also pays to do some lateral thinking. If you produce and sell double-glazing, trying to get your website into the top of Google results when people type in 'replacement windows' or 'double glazing' is going to be incredibly difficult and disproportionately costly in view of the amount of competition. However, you might produce a specific type of window that few others do, or you might add your location. For example, one of our clients specialises in vehicle ECUs. They wanted the term 'Vauxhall ECU', but some investigation suggested it was highly unlikely they would get anywhere near top rankings within a reasonable time and cost frame. In view of their location, we suggested a sensible and close alternative, resulting in Google page one position one, which has remained at this position for over two years now. Search engine optimisation is a field we have been working in for many years, and always with extremely good results. We know what works, and more importantly, we know what doesn't and what might result in your site being penalised. Your money will produce results working with us, because we want to keep our customers and we will only do that by making sure you keep yours - and get new ones as well. We always give realistic and sensible advice, and all the SEO work we do is carried out in-house and manually. Doubtless you get a fair few emails every month from companies based abroad offering optimisation at temptingly low costs. Please, please do not do it. Far better to do nothing. We have run a couple of experiments here to evaluate this type of company. In one instance, they managed to achieve Google page one in a matter of days (always a worrying sign - too fast means trouble ahead), followed within a week by the site disappearing completely from Google's index. This is a sign of a penalty being applied. Once this happens, there is often no way at all to have the site re-listed. The other experimental site was already on Google page seven for one term, which after the 'work' was carried out, actually dropped to page ten. Optimisation is time consuming and needs experience. We have it.